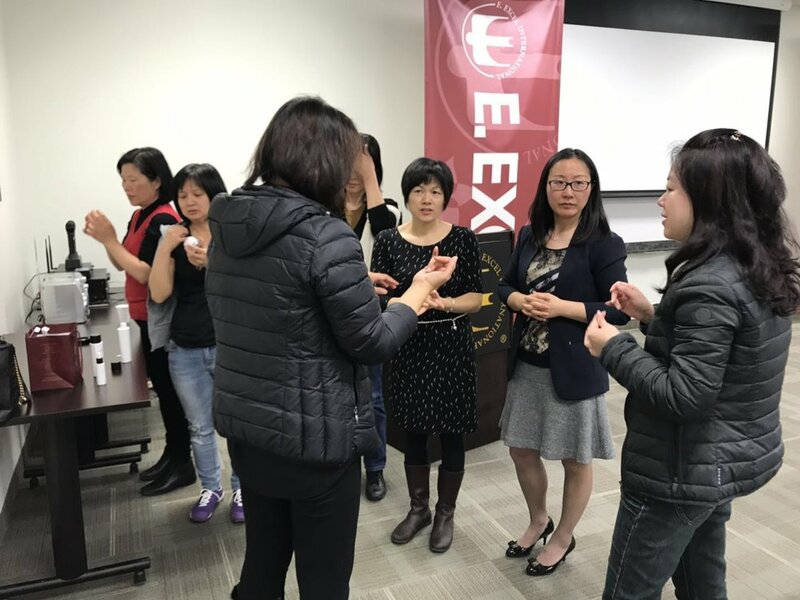 E. EXCEL Ambassador Jian hua Niu recently organized a training featuring Elemente skincare products! During the event, Diamond Master Lanlan Cao performed demonstrations for each of the products. After learning the benefits of so many Elemente products, attendees also got to see for themselves how well the products work. Thank you to everyone who came to experience E. EXCEL in person! Thank you to everyone who came together recently in Toronto! 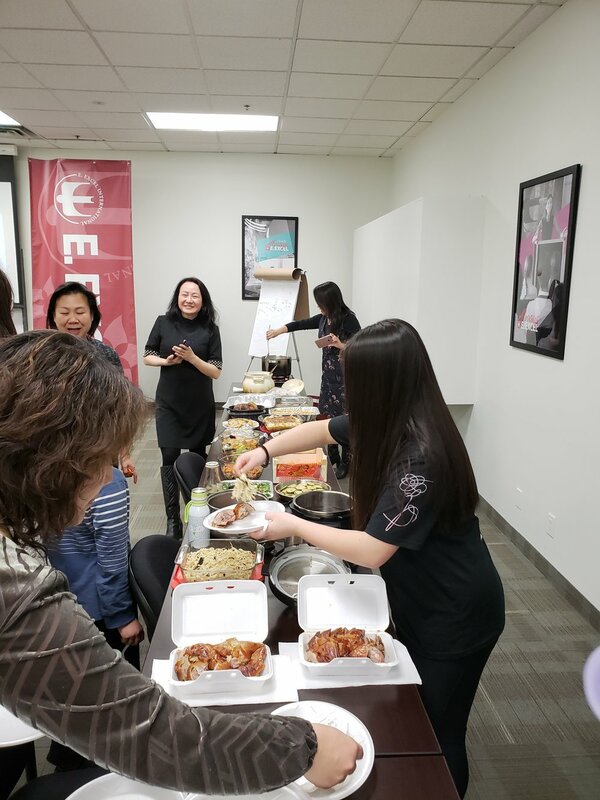 Ambassador Ning Peng organized a spring potluck for E. Excellers, family, and friends! Not only did they gather together to share delicious food, they also learned about the science of Nutritional Immunology, and had a workout session. 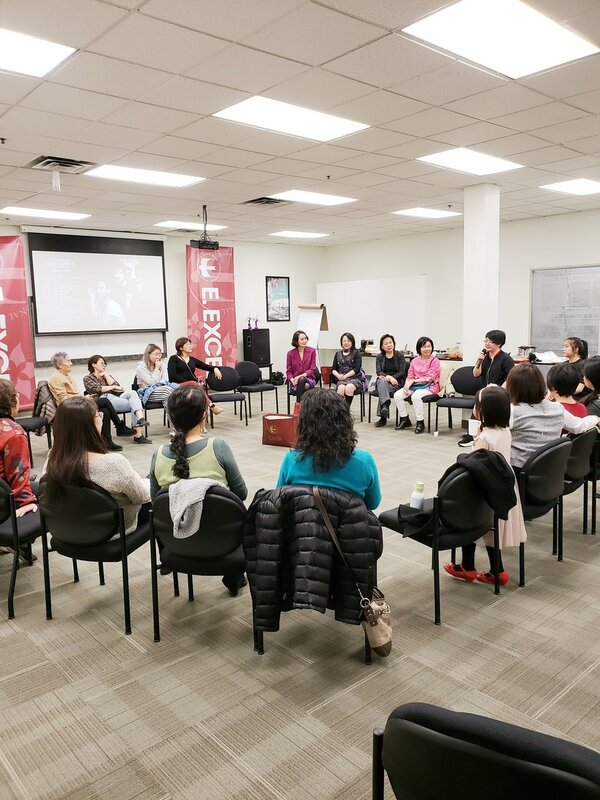 During the meeting, Distributors were able to share personal experiences with each other, which helped create a group atmosphere that was outstanding! 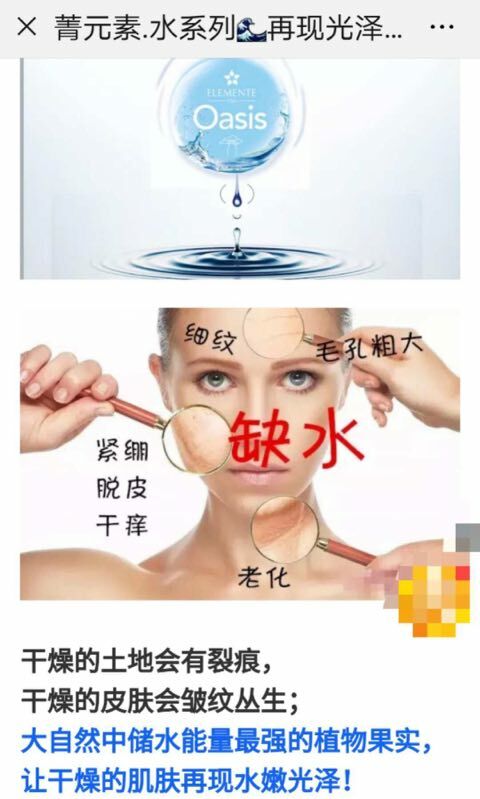 In New York, Diamond Master Su Lew organized a product training featuring Elemente Skincare products! 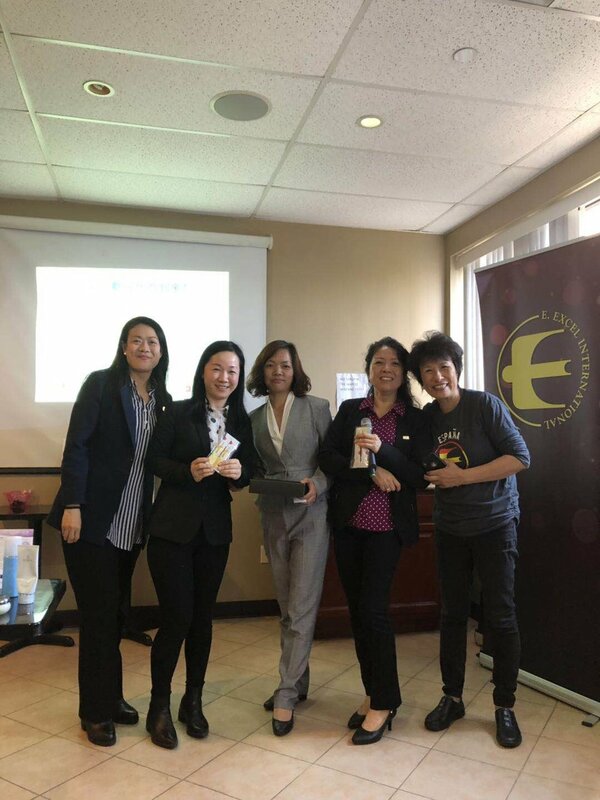 In addition to trying and loving the new products from E. EXCEL, Distributors also registered for tickets to the July 14th event with Dr. Chen in New York. We’d like to thank everyone in attendance who made the training a success! Thank you to everyone who attended the meeting that was held this week in Vancouver, BC! Jade Master Irene Loo arranged the gathering, which focused on learning about E. EXCEL products and how everyone can benefit from the science of Nutritional Immunology. Additionally, Distributors are learning how the My EEXCEL mobile app to sign people up, place orders, and share information with their customers! We’d like to thank all of the people who came out to the recent meeting in Vancouver! All who were in attendance loved learning about E. EXCEL products and how they can fit into the daily routine from those who know the most about it. 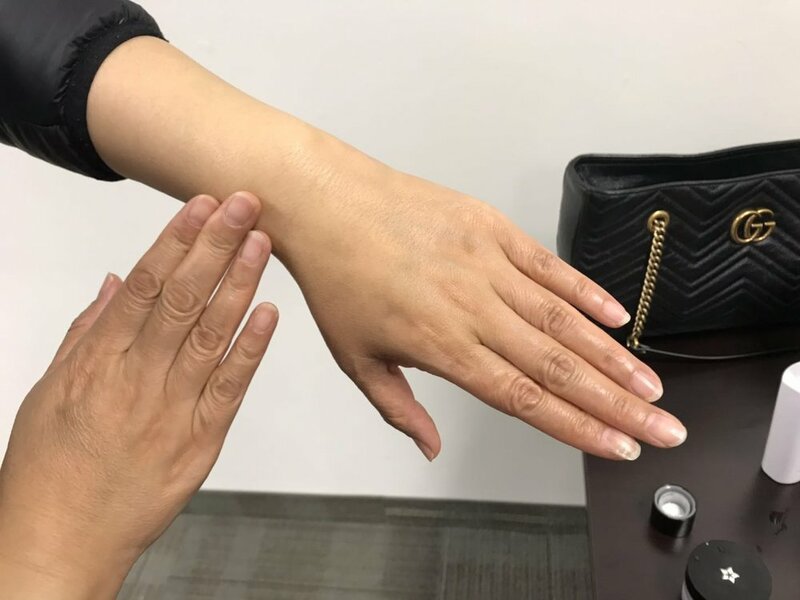 During the evening meeting, Pearl Master Yeelin Ho did product demonstration/training on 1-Shape and our Elemente Oasis skincare line. The photos below show how much fun everyone had trying out the skincare products. 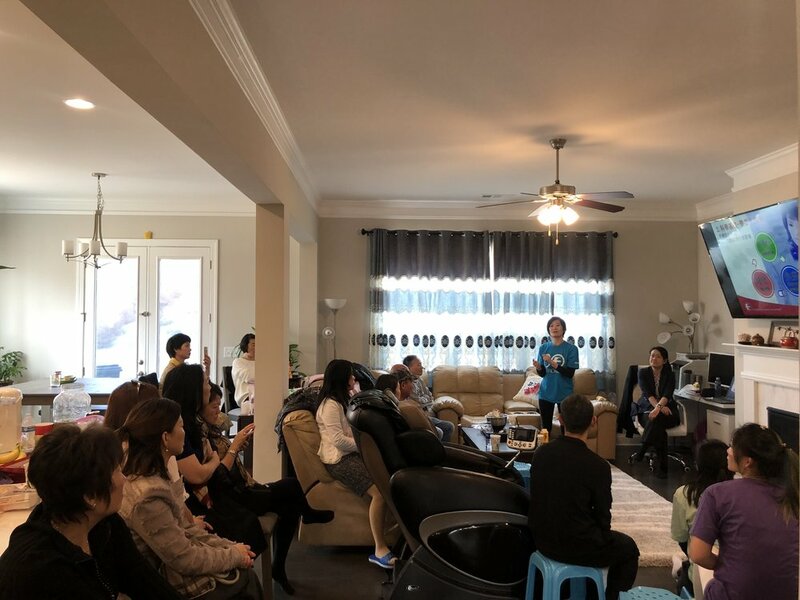 Pearl Master Shiu Towe Chen did a product demonstration on Vegiwash, showing off the benefits that every household can use. Thanks again to our faithful Distributors and for everyone who came out to this fun event! 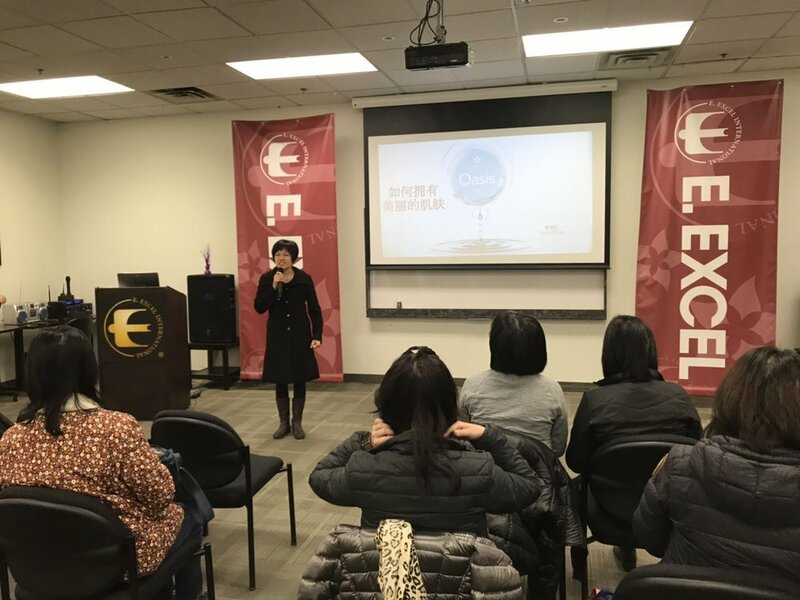 On March 12 in New York, friends, family, and Distributors gathered together to share E. EXCEL’s new Elemente Oasis skincare products! In addition to learning about E. EXCEL, attendees were greeted with practical demonstrations of our products as well. To finish off the gathering, a few Distributors also shared business ideas. All in all, it was a fun representation of what E. Excellers can do when they’re together!